Now, the family must readjust to life in the real world. Their ordeal has made them so famous, they must stay in hiding--everyone from fatalists preparing for doomsday to the tabloid media wants a piece of them. Even worse, their father's former adviser continues to control the company Eli and his twin brother are the heirs of. As Eli tries to determine who the family can trust, he learns the nightmare of the Compound--and his father's experiment--might not be over. 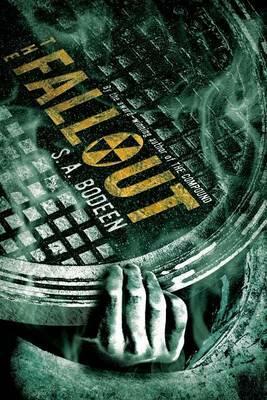 The Fallout is S.A. Bodeen's highly anticipated, thrilling sequel that will keep readers on the edge of their seats. "A psychological thriller." -- "Booklist"